Take some time to relax and take a ride with a horse carriage or a covered wagon, a delight for young and old. 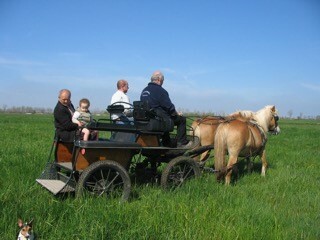 We organise carriage and wagon rides of one hour up to a maximum of 3 to 4 hours. 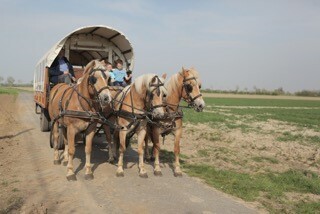 The covered wagons have a capacity of 20 passengers, in the carriage there is room for 4 to 5 persons.